Last month I had the chance to go on my very first Disney cruise, a 3-night cruise on the Disney Dream, with my husband and 3-year-old son. I’ve been on 10 cruises before and hands down our Disney Cruise was my favorite. 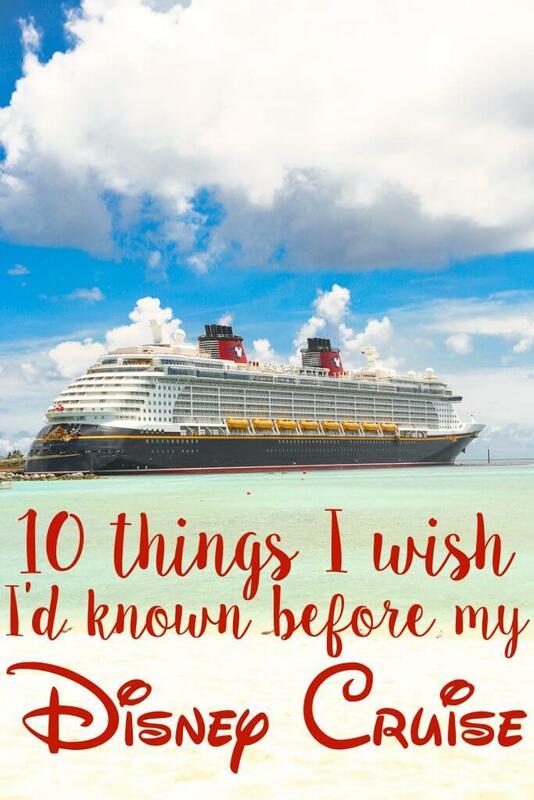 I read articles and did research beforehand, but there are still a handful of things that I wish I’d known before my Disney Cruise. 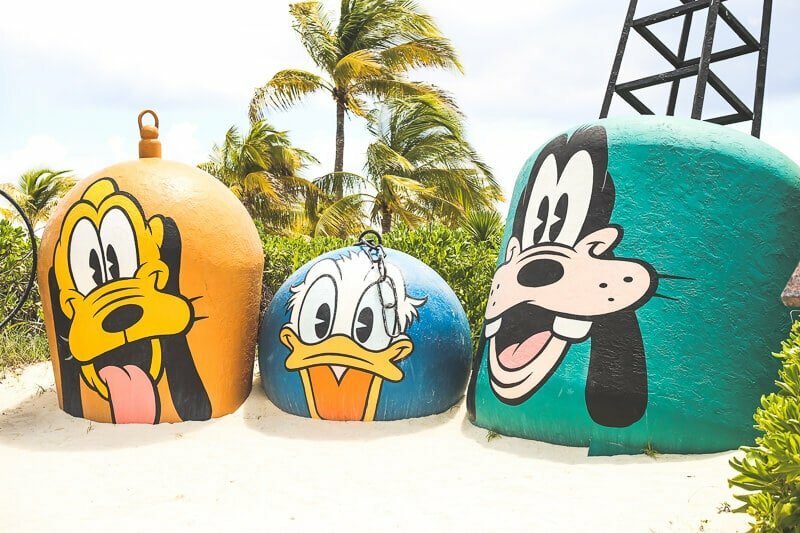 If you’re on the fence about going on a Disney Cruise, hopefully these will help you hop over that fence right onto a Disney cruise ship. 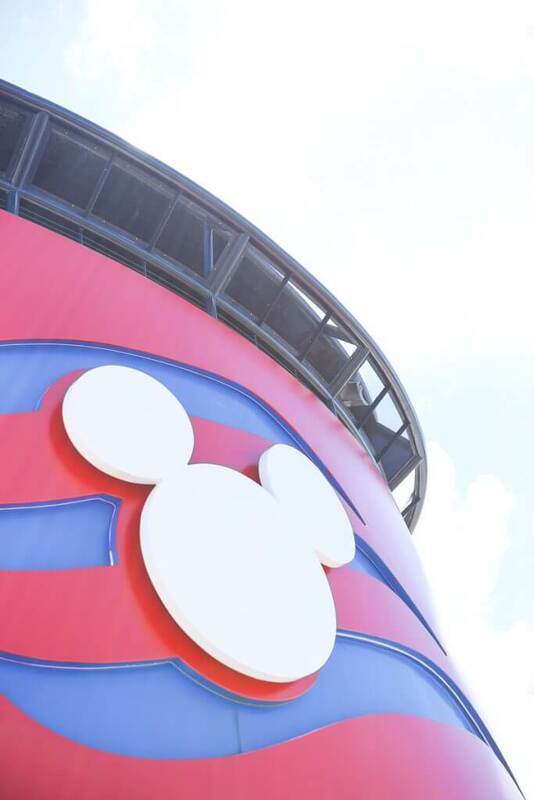 1 – A Disney cruise isn’t just for the kids. I can’t tell you how many times in the past we decided to not even look at Disney cruises because I thought they were only good for families with kids. We’ve been on 10 other cruises before this one, and I’ve never even considered a Disney cruise. I had no idea what I was missing out. The food, spa, amenities, and entertainment on the Disney Dream were as good, if not better, than any other cruise I’ve ever been on. And that’s not the kid in me talking, that’s the adult. So while Disney cruises are far and above better for kids than any other cruise, don’t stop just because you don’t have kids yet. 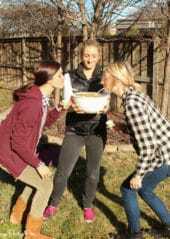 Go with your girlfriends for a girls weekend or with your significant other for a romantic getaway. There’s something for everyone. 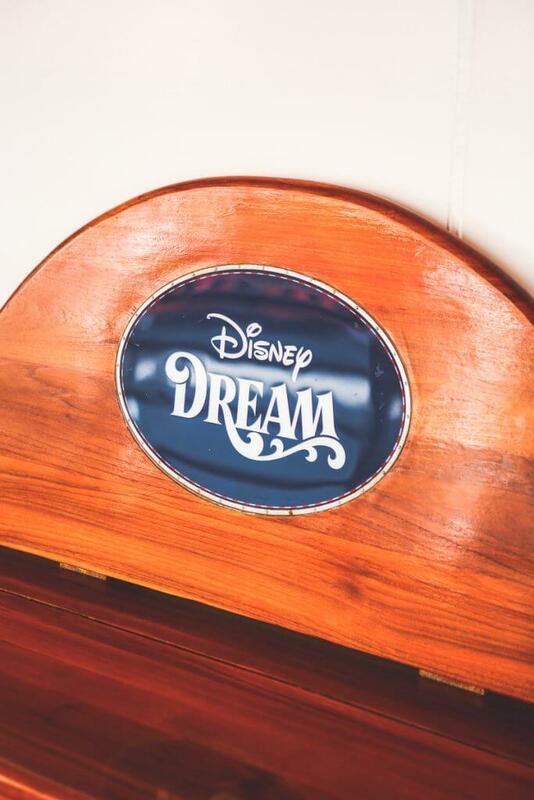 We did a Friday-Monday cruise on the Disney Dream, and I’ll be the first one to tell you that while it was an awesome way to dip our toes in the water when it comes to cruising with preschoolers, it was nowhere near enough time to enjoy everything the cruise had to offer. Maybe that’s the goal — give you a taste so you keep coming back. We woke up early in the morning and went to bed late at night and still didn’t get a chance to try out the Mickey shaped swimming pool, the Royal Palace Dining Room (went to Palo for dinner instead), Goofy’s mini-golf/sports area, or about half of the other things available on the ship. There was so much going on and so much to do that we easily could have spent a full week on the ship without ever getting bored. Like I said before, I’ve been on a lot of cruises and seen a lot of cruise main theater “shows.” And a lot of the little side shows and entertainment. 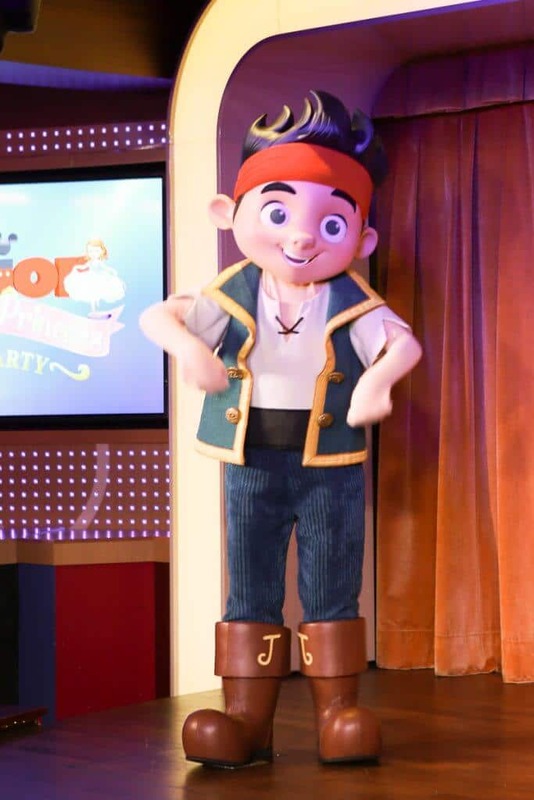 Disney cruise shows are not the same as other cruise shows, they’re Disney quality entertainment. And they shouldn’t be missed, not even the middle of the day ones. From the main theater shows like Villains Tonight (led by Hades from the Underworld) to daytime shows like the Pirate/Princess Party with Jake and Sofia, every show I saw was top notch. 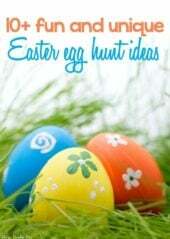 And entertaining for both kids and adults. Like pretty much any other cruise, the moment the ship takes off from shore, your phone will likely go into roaming or no service (depending on your carrier). 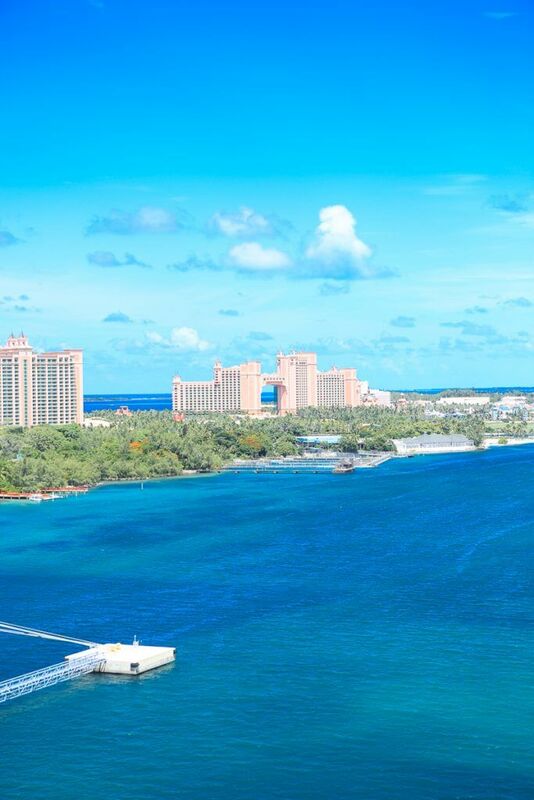 The goal of a cruise is to get away from it all right? One of the coolest things on our Disney cruise was that Disney provides two actual phones in each room, cellular at sea phones that work throughout the cruise to call anywhere in the ship. So if your kid’s having a meltdown and needs you in the Oceaneer’s Club, they can call you. So if your husband wants to go take a nap and find you later, he can call you. And if your older kids want to go off and explore until dinner, you can call them when they’re not on time to dinner. I’ve been on cruises where you have to wander the ship until you hopefully find someone, so the free phones were a pleasant surprise. The one complaint I had is kind of a silly one and that’s that the WiFi packages on our cruise were subpar. We were in the middle of selling our home and buying a new one the weekend we went on our cruise, so I had to stay connected somewhat. The packages were expensive and didn’t allow me to do much more than read my email very quickly to make sure I didn’t miss anything before hopping off. If you’re planning to go on a cruise and spend a lot of time on your computer, a Disney Cruise may not be your best bet. But if you want to have the time of your life, get away from it all, and make incredible memories with your family – a Disney cruise is definitely for you! There are so many things I packed that I just didn’t need, not because I didn’t need them, but because Disney provided them on the cruise. We brought our stroller, only to have it packed away the entire time because Disney has strollers available to use. We packed beach towels for our day in Castaway Cay when again Disney had beach towels available for us as soon as we walked off the ship. Before you pack, check out this Disney Cruise packing list to make sure you’re not bringing things that will already be available to you. The staterooms are a good size but you still don’t want to be wasting any of that precious storage space storing a stroller if you don’t have to. 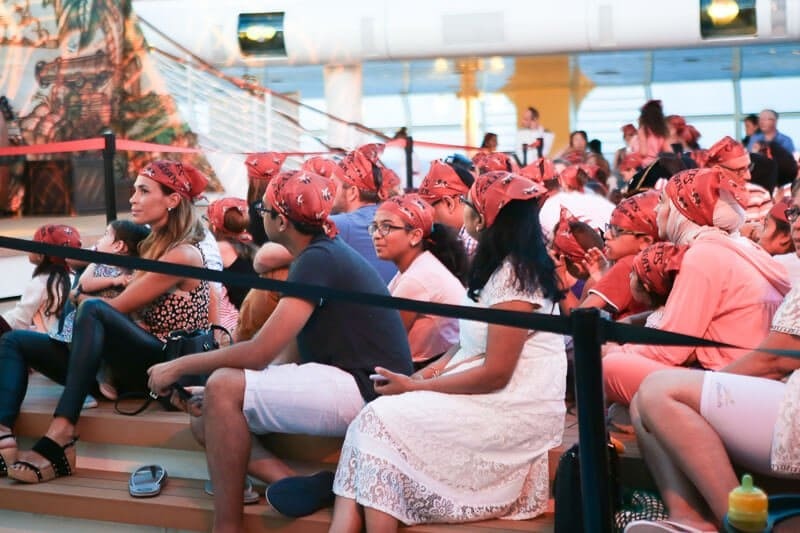 From the doors decked out with Mickey Mouse decorations to the pirates and princesses dressed up throughout the cruise, Disney cruise passengers are some of the most enthusiastic ones I’ve ever seen. Pirate Night didn’t get over until 10:30 at night (fireworks!) and the entire deck area was filled to the brim with people dressed up with eye patches, hats, and even a guy with a fake parrot. And after the party was over, they turned on music and the deck was still full of families dancing throughout the evening. I probably should have expected it since I’ve been to Disney World a handful of times just this year, but I was still surprised to see little princesses walking around the ship and families in matching Disney shirts everywhere. 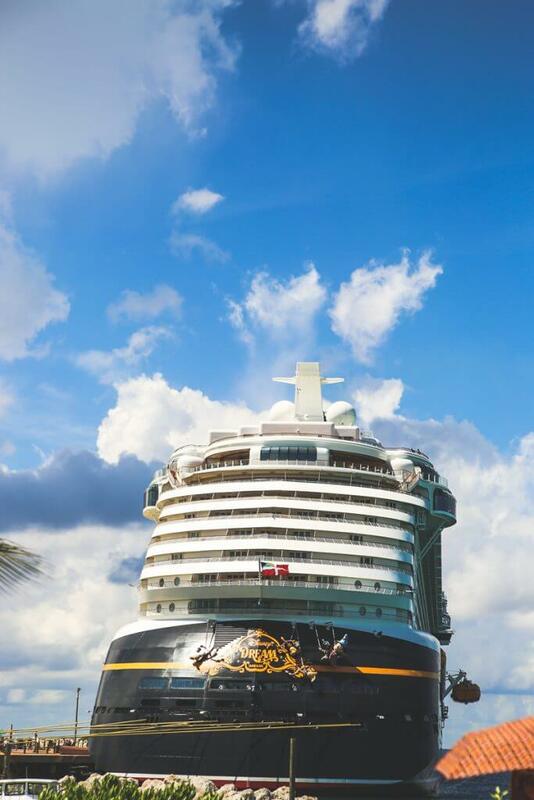 If you’re a Disney fanatic, a Disney Cruise is the perfect time to show your Disney love. Typically when I’ve looked at cruise itineraries in the past, I look for as many ports and stops as possible so we don’t have to be stuck on the boat the entire time. 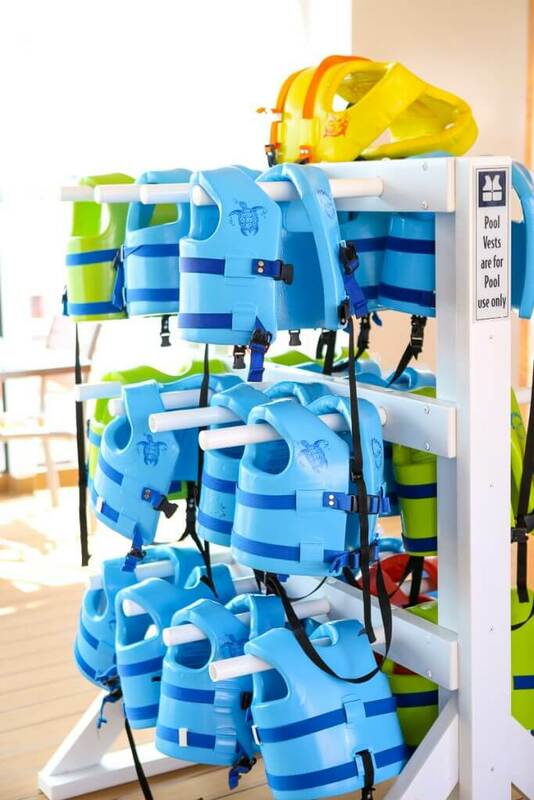 Because you’re dying to get off the boat after the first day at sea. That wasn’t the case at all on our Disney Cruise. I’d say like 25% of the boat (maybe more?) got off the boat when we docked in the Bahamas. Everyone else just spent the day hanging out on the boat experiencing everything the boat had to offer. So unlike other cruises, if you don’t want to get off the boat and spend the extra money on excursions – you don’t have to. You can find enough things to do onboard to fill your time. 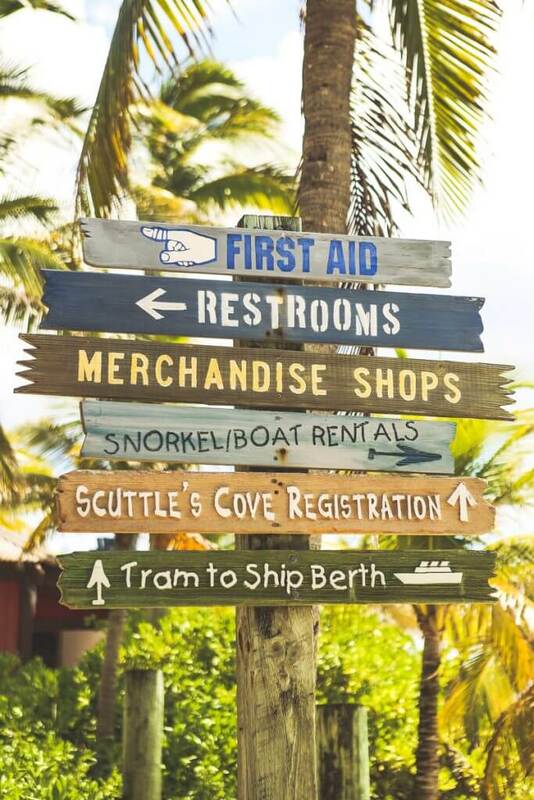 Except Castaway Cay – get off in Castaway Cay. It’s a Disney Cruseline private island and so much fun. 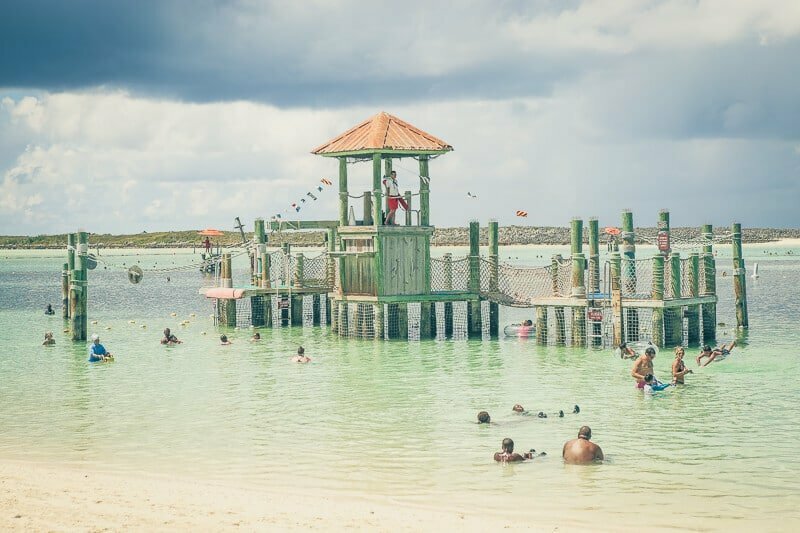 They provide an on-island kids club, there’s a private adults only beach, they serve a great BBQ lunch, and there are even things like a Minnie Mouse dance party. It’s basically an extension of your cruise on land. And it’s all included in the price of your cruise. I knew before our cruise that Disney’s kids clubs would be awesome. 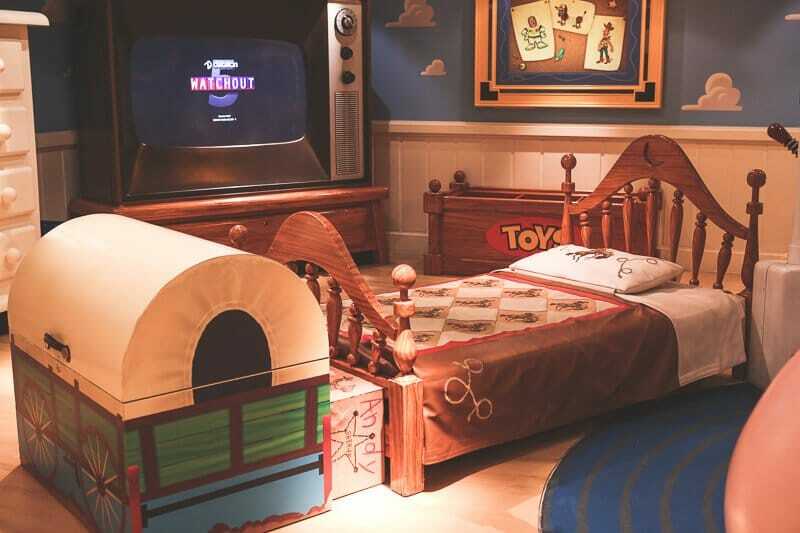 I just wasn’t expecting to have my 3-year-old asking me to go play in Andy’s Toy Story room instead of going swimming or instead of eating dinner. Check out my Disney Cruise with preschoolers post for more details on the Oceaneer’s Club and Oceaneer’s Lab. 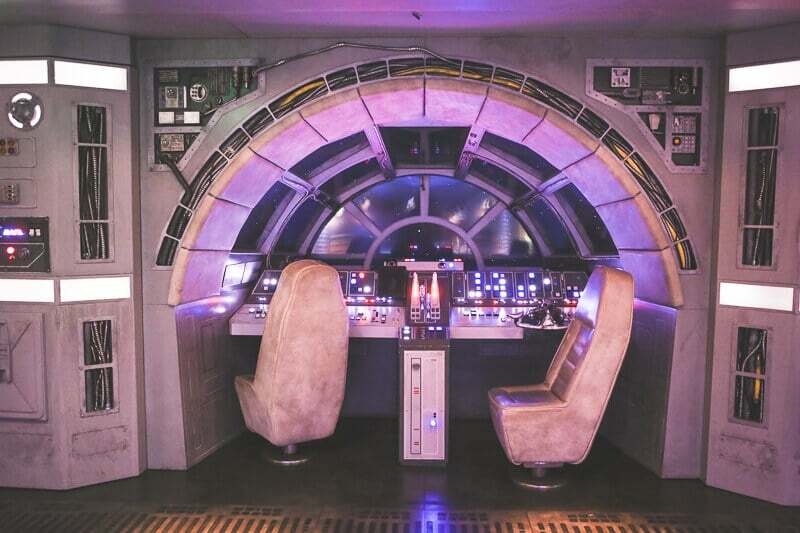 Just know ahead of time, you may not see much of your kids because they want to be flying the Millennium Falcon or baking cupcakes with Minnie instead of hanging out with you. 9 – Disney does holiday cruises! I don’t know how I missed this but Disney actually does holiday (and specialized) cruise itineraries. Every cruise from mid-September on will be turned into a Halloween cruise ship, decked out in decorations and even a great pumpkin tree. The shows, the activities, and the decor throughout the ship will be transformed from regular cruise to Halloween. And then again in November, the cruises will go from Halloween to holiday for the remainder of the year. So theoretically you could go on three different Disney cruises with the exact same itinerary in the same year and have a completely different experience. Every week my 3-year-old tells someone we’re going on a Disney Halloween boat. And oh, how I wish we were. This is the one thing I almost always hear when I talk to people about Disney Cruises. The first response is, “but they’re so expensive.” I’ll give you that they are more expensive than most other mainline cruises. They are. And I’m here to tell you that I was one of those people who heard they were too expensive and looked elsewhere. Characters and more characters in shows, at the kids club activities, walking around, signing autographs, taking photos. You name it and there are characters involved. And the list could go on forever – the video below showcases some of the highlights from our cruise. 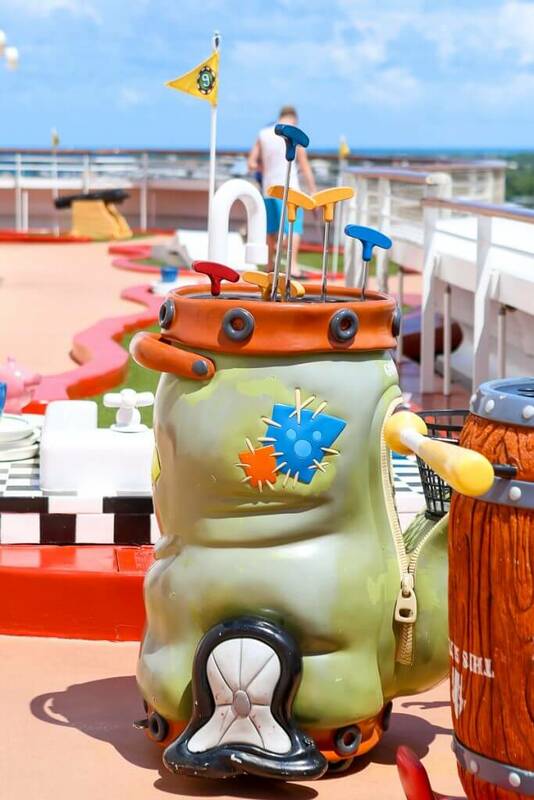 I do still recommend you check out these Disney cruise tips before you go, but go. It’s totally worth the extra cost! 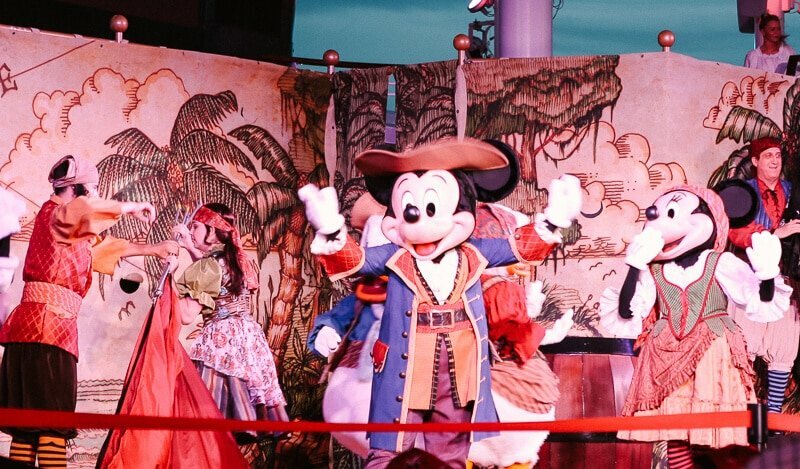 One of the most memorable things I heard during our cruise was that Disney Cruiseline isn’t just another cruise company – it’s an entertainment company at sea. And as an avid cruiser, I wholeheartedly agree. 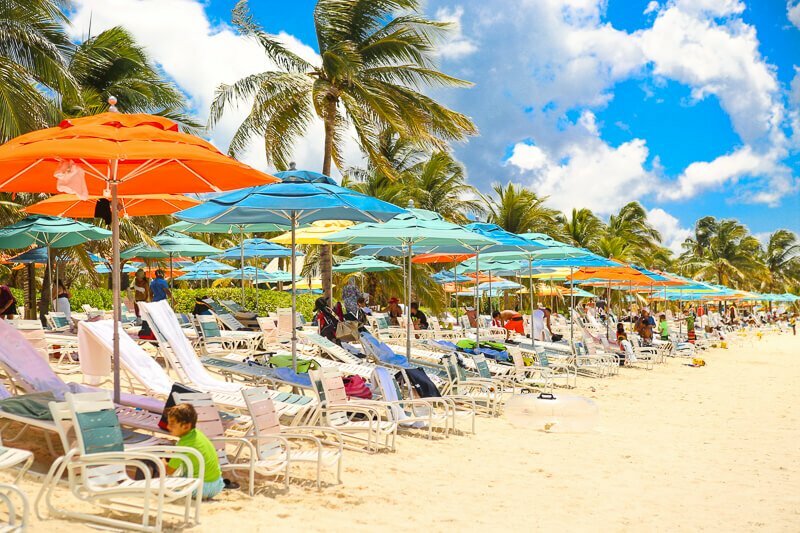 If you’re looking for a cruise just for the all-inclusive food and transportation to different destinations, feel free to book a trip on any cruise line. But if you’re looking for a magical experience that the whole family will love and talk about for years to come, book a Disney Cruise. I will for sure be booking another one myself, maybe even one on a Disney Halloween boat. 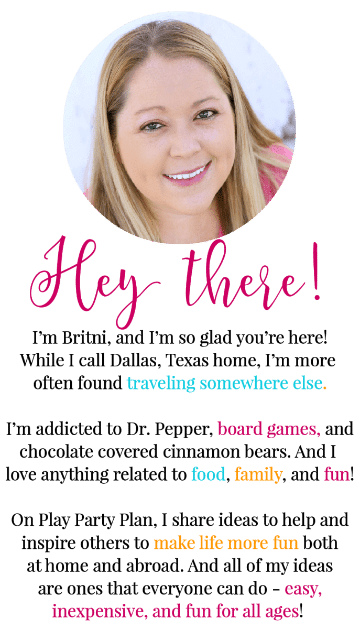 This is a great story Britni! Thank you so much for sharing your experience, and I adore your pictures!! Thanks so much Courtnee, seriously one of my favorite family vacations ever! We’re going on our first Disney cruise in February and I am so excited! My daughter keeps reminding me that she really wants to meet Sofia since we weren’t able to meet her at Disney World this summer. Thanks for the tips! I’m going to remember these. I hope she gets to meet Sofia! Which cruise are you going on? Amazing article! Definitely pinning this to re-read later. We are planning our first ever cruise for early 2017 and it will be aboard the Disney Dream. Thank you for all of the fantastic info! Glad it so helpful! If you have any questions before your cruise just let me know! Thanks for sharing. We have been looking at Disney cruises for a few years and weren’t sure it would work for us. Reading this makes me think it could be an incredible time for us. Such great info! Thanks, this is perfect for someone that hasn’t gone on a Disney cruise yet. Great lessons learned. We LOVE Disney cruises… my kids had a hard time trying any other cruise line in fact after we sailed with them the first time. And, like you I had no idea “I” would enjoy myself so much. It was more of a vacay for the kids when we booked it. I also had no idea that passengers would be all out on their door magnets and pirates night. We have been much better prepared now for future cruises. Thanks for the great tips!! We went on a Disney cruise about 5 years ago and loved loved loved it. Your comments are spot on, except our older son wanted to be with us rather than with the other kids. I wish I had known about the door decorating but I REALLY wish I had known about all of the drawings for freebies ( like a soa package) you could enter if you boarded the ship early. Our plane was late, so I missed all of that. Speaking of the plane, I really appreciated the airport to cruise ship service we received. They made that part of the trek stress free. Shoot- Now I want to go again! Pretty sure we missed all the drawings for freebies too Nancy, I’ll have to look out for those next time! Do you thing teenagers will like it. My famiky was bkessed with a make a wish on a Disney Cruise Ship for my daughter. She/we had the greatest time with her and everything that the ship had to offer. That’s amazing Christine! Make a Wish is an incredible program! I know I am about a year late to replying to your post but I just found it! We have done 3 Disney cruises – two with our kids and one without. Loved them all! I wanted to comment on the perceived “more expensive” issue. When we cruised to Alaska we actually priced another cruise line as well as Disney. By the time the other line charges you for every soda and anything eaten outside your assigned dinning area, room service, etc the costs was no different. Disney just doesn’t hide all the extras and you pay upfront. We chose Disney! You will never be disappointed! I definitely have never been disappointed by a Disney cruise! Check with your cell carrier next time before cruising. Some offer a cruise addition to your phone service. This might be cheaper than the WiFi packages on the cruise. Just a suggestion. My last Disney Cruise was actually 20 years ago when I was 6 years old! My friend and I are now planning one on the Fantasy. 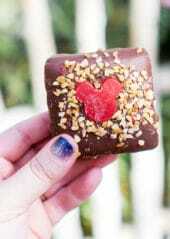 Articles like these get me so excited for cruising on Disney again! Truly a magical experience for everyone.